Instant Pot Turkey Breast w/delicious homemade gravy is moist and tender and cooks in under an hour in the pressure cooker. Low carb and gluten free. In no time at all, you can cook up a complete Thanksgiving dinner right in your Pressure Cooker. Make sure to start out your Holiday meal with my refreshing Pressure Cooker Cranberry Spritzers. The Instant Pot Turkey Breast is succulent and tender and oh soooo, delicioso! A good Gravy starts with a good Stock. Under the Turkey, cooking at the same time, is a Vegetable Stock with Turkey drippings. This Homemade Stock will be turned into a rich and delicious Homemade Gravy. Trust me on this, you are going to want to make enough to have a lot of leftovers. Keep scrolling…. 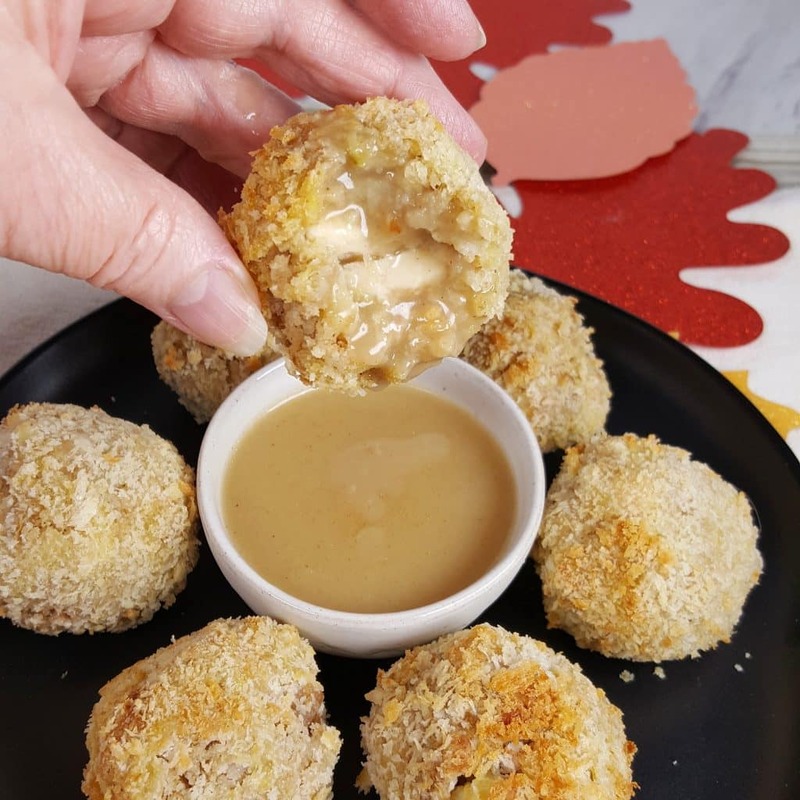 My Air Fryer Turkey Croquettes recipe will knock your socks off and leave you speechless! As with most Full-bodied Stocks and Bone Broths, Vegetables and Seasonings are added. 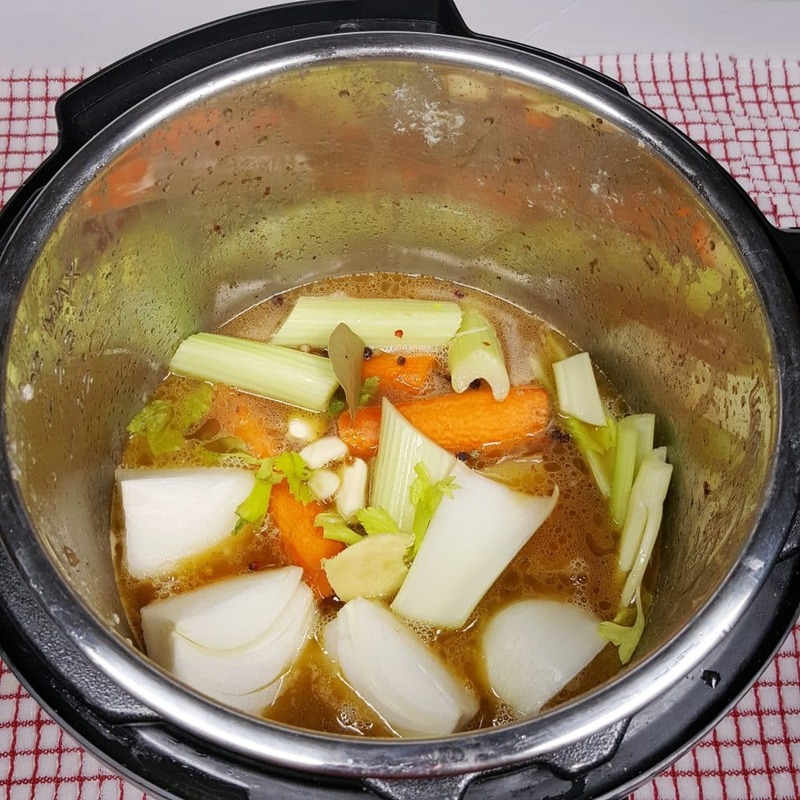 When the Instant Pot Turkey Breast is finished cooking and resting, the Homemade Stock will be used to make the Gravy right in the Instant Pot, Mealthy MultiPot or Pressure Cooker. 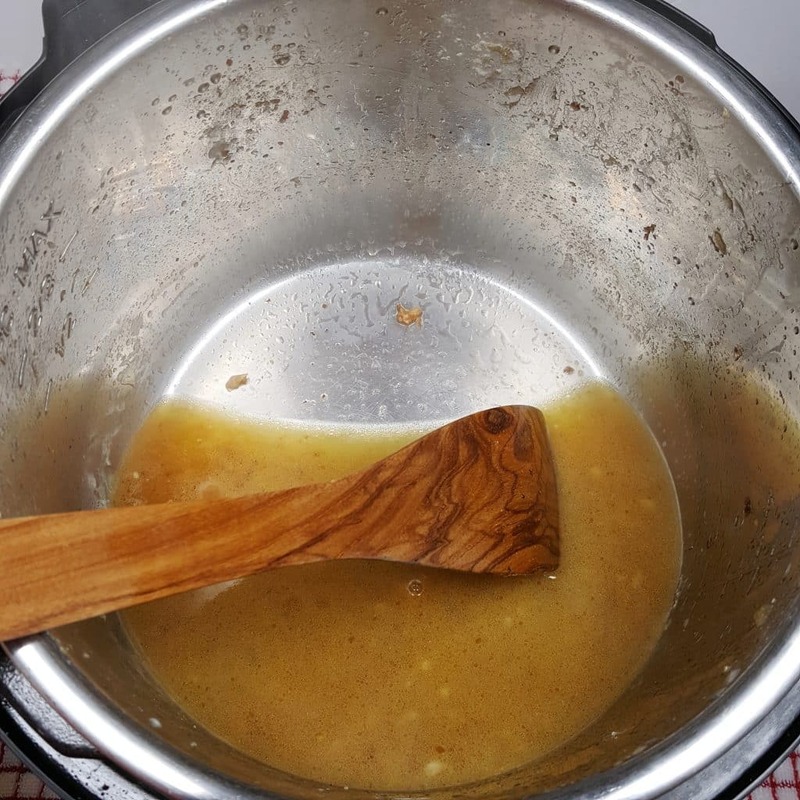 If you want to enhance the Gravy, instead of adding plain Water to the cooking pot, add in a little Better than Bouillon Turkey Base. For a deeper Vegetable taste, add in a bit of Better than Bouillon Vegetable Base. For even a greater depth of flavor, use a little Marsala Wine or a Dry White Wine to deglaze the cooking pot. Think about the wonderful flavor in my Pressure Cooker Chicken Marsala and my Pressure Cooker Chicken Mushroom Marsala Soup. 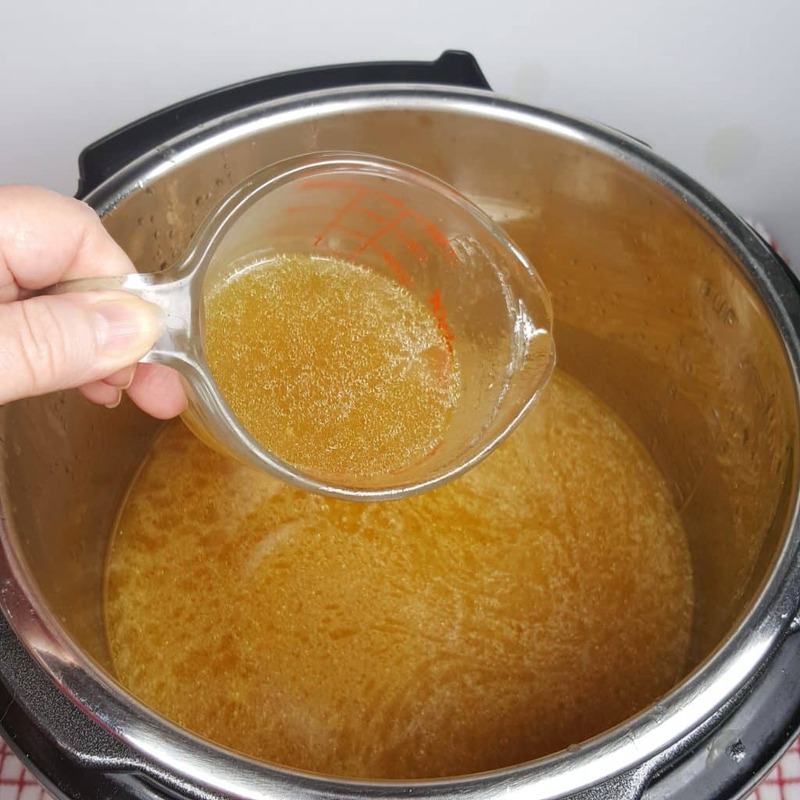 My Pressure Cooker Wild Mushroom Risotto and Pressure Cooker Butternut Squash Risotto recipes, both use White Wine, which considerably enhances the flavor and overall experience. Either of those Risottos will make a wonderful side dish for this Instant Pot Turkey Breast dinner. How to Make Instant Pot Turkey Breast. If there are seasonings that you generally use and love, go a head and massage them into the Turkey Breast. Bell’s Turkey Seasoning is always nice to use, when you don’t feel like pulling out multiple spices. It’s well balanced and quite good. Use your Pepper Grinder and massage Black Pepper or Four Colors Peppercorns all over the Turkey. Follow that up with a massaging of Kosher Salt. I love to use Potato Starch in the Instant Pot, Mealthy MultiPot or Pressure Cooker to protect the poultry, especially the White Meat. Plus, you’ll get a nice crust on the Turkey, which adds more flavor to the Stock. Heat up the Instant Pot, Mealthy MultiPot or Pressure Cooker cooking pot and drop in some Butter. Cut off the flap of Turkey skin, which hangs into the cavity and toss it in as well. This is an optional step, but will add ton and tons of roasted flavor to the Gravy. Place the Turkey into the cooking pot and let it brown for just a few minutes. The flavor of the Turkey, will be the same whether you brown it or not. This step is simple to add better flavor to the Homemade Turkey Gravy. What you see in the cooking pot, is all flavor. 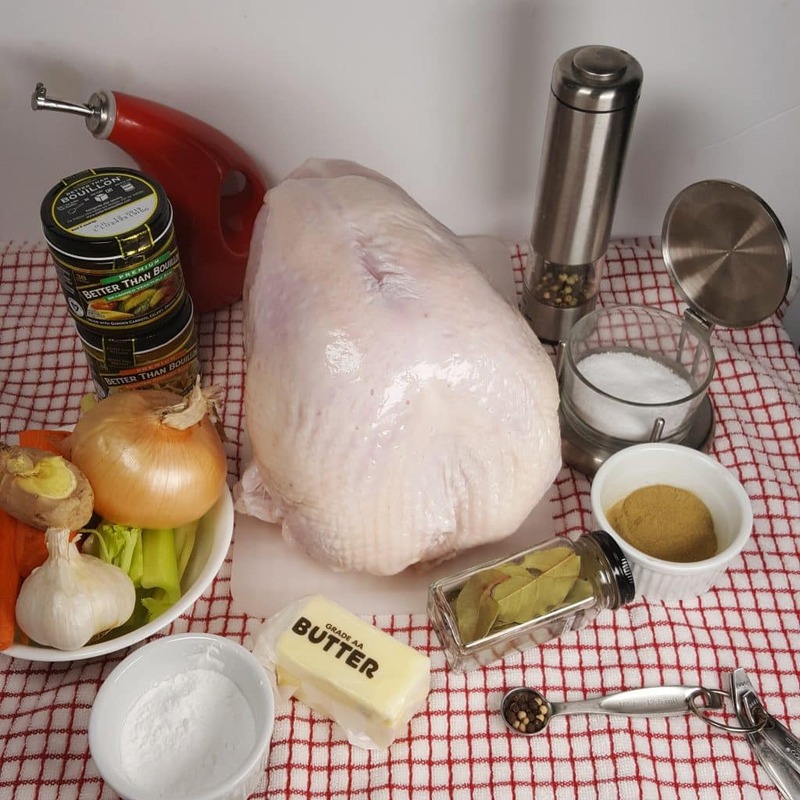 Making your very own Turkey Gravy from scratch is ridiculously easy and I bet you won’t ever buy a Turkey Gravy Mix or a jar Turkey Gravy again. Although if you are in a hurry, the Pioneer Brand is what I suggest. You’ll be able to grab the Turkey Breast by the bone and pull it out of the pot, as it will be still be quite cold. 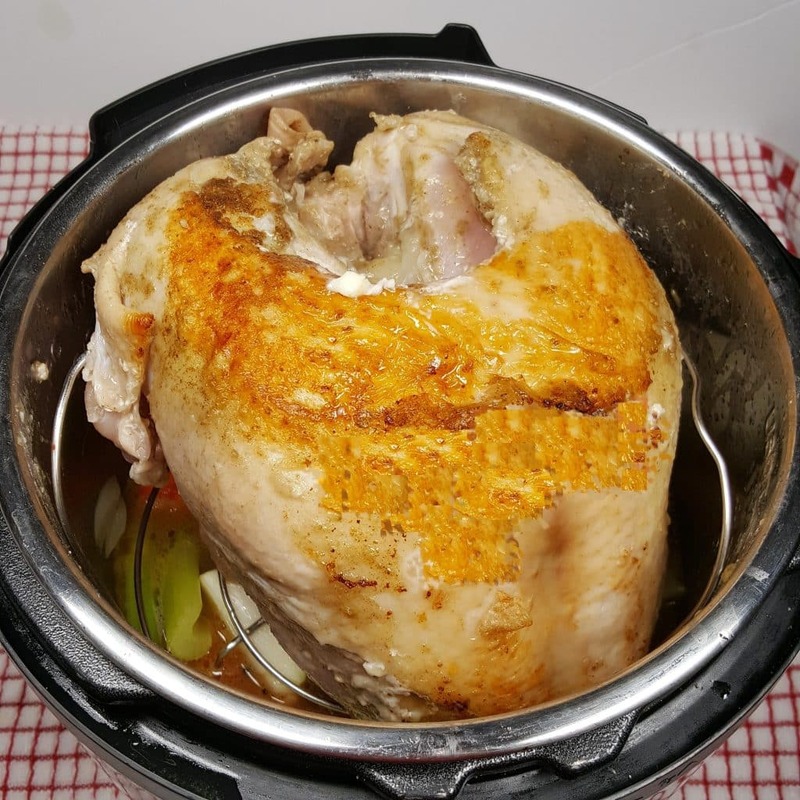 Wine and chicken broth can be used to deglaze the pot for Instant Pot Turkey Breast recipe. When the liquid hits the hot pot, it will begin to release the stuck on brown bits (“Fond”) stuck to the bottom of the pot. Using a good, heat resistant spatula is helpful to scrape the bottom of the pot and loosen up all that delicious fond. As a result, if you deglaze with the wine, by the time the pot is deglazed, most of the alcohol should have a chance to burn off. The fond easily releases and nothing is stuck. 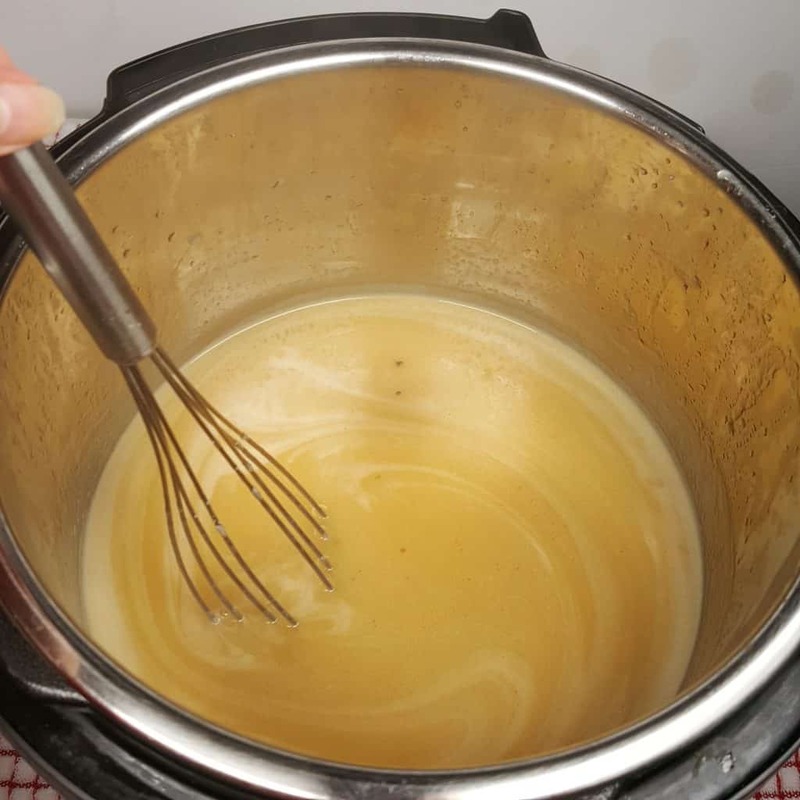 The Fond will mix with the cooking liquid. The Gravy is going to be amazing! 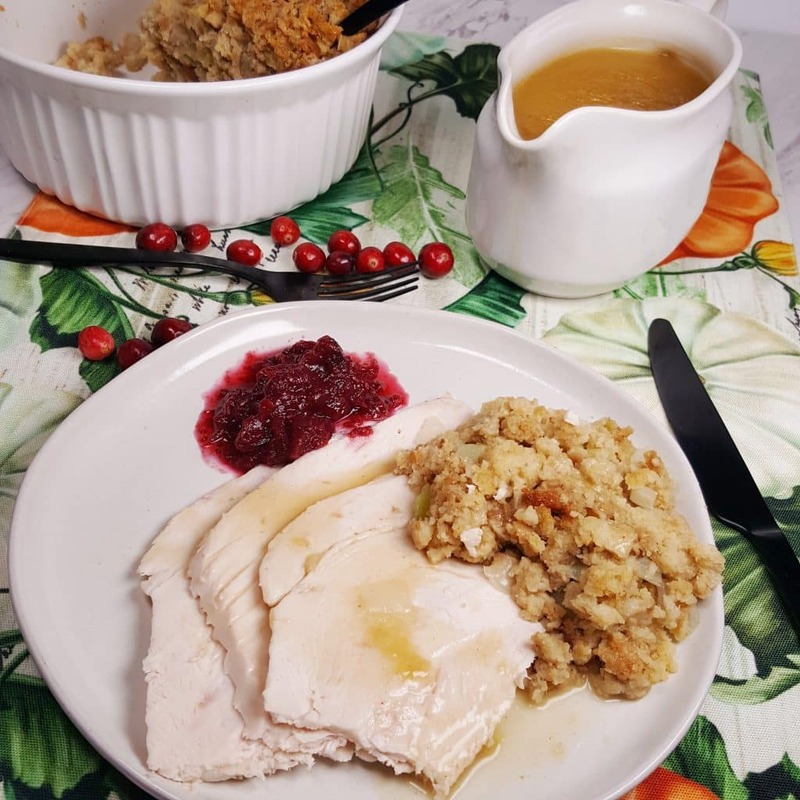 How to make Instant Pot Turkey Gravy. Let’s take this Gravy making up a notch. I don’t know about you, but I like Pepper in my Gravy. Whole Multicolored Peppercorns are great to use. Adding vegetables will add so much flavor to the Gravy. If you use vegies, you don’t really need to also use the Vegetable Base. It’s like a mini Homemade Bone Broth, although the cook time is considerably less. 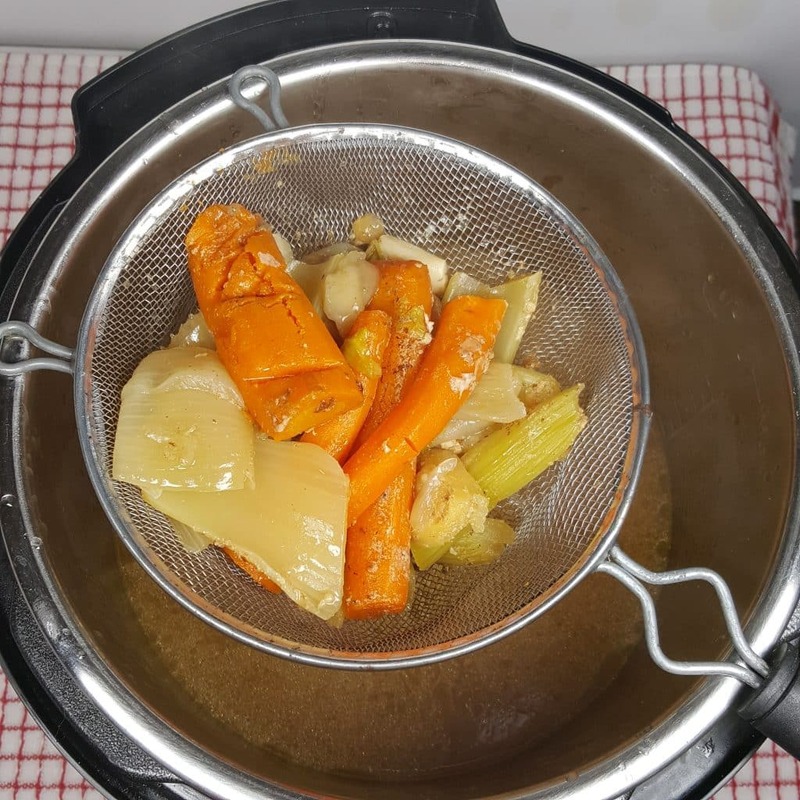 And there aren’t many Bones, but, but, but…really, it’s a great Vegetable Stock. My bones did crumble, so, good flavor was infused! The flavor of this Gravy is going to be more fabulous, then just Turkey drippings alone. This nice and browned Turkey Skin, will help keep the Turkey Meat moist, as it cooks. Make sure you cook the Turkey, Breast side down, so that the juice collects in the cavity and seeps into the Meat. Be careful not to rip the skin off while Browning. Since I neglected to snap a photo of the Turkey browning, I’m showing you here. Flip it over to cook, so that the ribs are on the top. There is a lot of flavor in the bones and you want that to drip into the Turkey. I also shoved some butter under the skin and put a little in the cavity. Another plus for using the Pressure Cooker to cook a Turkey Breast, that there is no need to waste your money or time brining the Turkey. 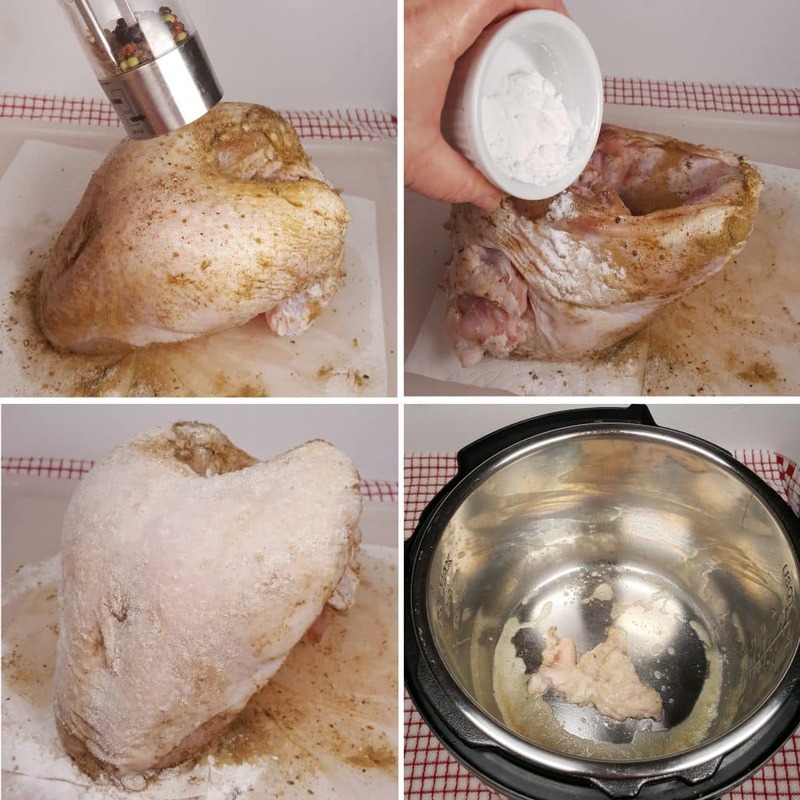 The enclosed chamber uses steam to cook, so all the yummy flavors from the Vegetables and Seasonings will infuse right into the Turkey and keep is very moist and tender. If you cook your Turkey in the Oven or Air Fryer, then by all means, pick up this Brine Mix and brine the Turkey. That being said, if you want to cook a whole Turkey, the Instant Pot or Pressure Cooker, really is not the way to go. 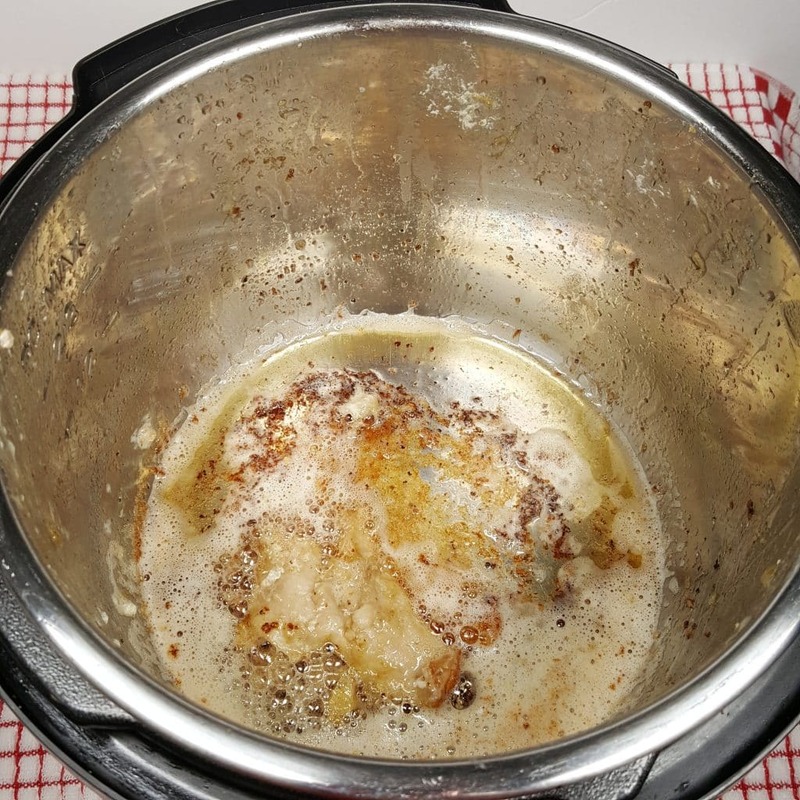 I suggest using the Oven, the Air Fryer or a Deep Fat Turkey Fryer. Another delicious method for cooking a whole Turkey is the Turbo Cooker. The first time I used mine for a whole Turkey, I was floored. It only took about 30 minutes and it was so juicy. Carefully remove the Turkey Breast to a Serving Platter and cover it, so that the juice will redistribute. You never want to cut into the Meat right away, or the juice will flow right out. Strain out all the solids from the Stock. I have an extra cooking pot, so I just poured the Stock through this Stainless Steel Strainer and into my extra cooking pot. Then skim the fat off the top either with a spoon or with a Fat Separator. The Oxo Fat Separator works really well. It’s really worth the money. Use a Measuring Cup and remove about a half of cup of Stock. Add in some All Purpose Flour, Gluten Free Flour or Potato Starch. Use a Whisk and briskly blend the Starch into the hot liquid, making sure it is completely incorporated. This is important, as you don’t want to end up with lumpy Gravy. Simmer and Whisk and Whisk and Whisk the Gravy until you achieve the consistency your prefer. It will thicken up quickly, so keep your eye on the prize. Taste the Gravy and adjust the seasonings. 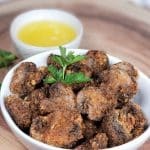 You will probably need to grind in more Black Pepper and Salt. If you have leftover Turkey, think about making some yummy Holiday Party Southern Baked Ham or Turkey and Cheese Buns. They are incredible delicious. In fact, we always make extra, just so we can make these awesome Sandwiches. 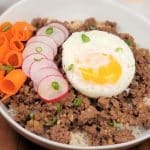 More Instant Pot Thanksgiving Recipes to Make. 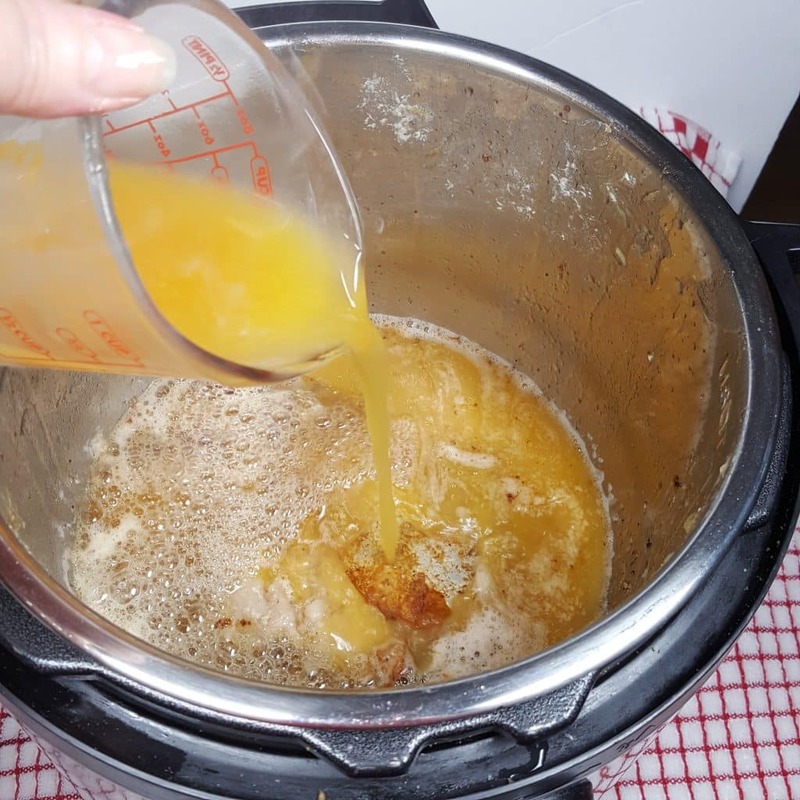 Instant Pot Mashed Potatoes – the easiest and most delicious recipe ever!!! Pat dry Turkey and remove hanging flap of skin. Massage seasonings into Turkey and then dredge through Potato Starch. Mix together Water and Turkey/Vegetable Base (Bouillon) and set aside. Select Sauté/Browning on Pressure Cooker and allow to fully heat. Add 2 Tablespoons Butter and Turkey Flap to cooking pot. Place Turkey Breast into cooking pot and brown the skin a bit. Carefully remove Breast from pot, making sure not to break off the Skin. Pour 1/4 cup Dry White Wine into cooking pot and deglaze pot. Add Broth and continue deglazing pot, making sure to loosen all stuck on brown bits. Once deglazed, place Carrots, Onions, Celery, Ginger, Peppercorns and Bay Leaf into cooking pot. Shove a little Butter under the skin and place Turkey on Trivet, Breast side down. Lower into cooking pot and place the rest of the Butter in the cavity. Lock on Lid and close Pressure Valve. Cook on LOW Pressure for 32 minutes. When Beep sounds, wait until all pressure has released naturally and then open the Lid. Remove Turkey to a Serving Platter and cover. Strain Stock through a metal Strainer into a Bowl and discard solids. Use a Fat Separator to remove layer of fat, or skim from top. Place Stock back into cooking pot, reserving half a cup. Select Sauté/Browning. Make a Slurry by adding 2 Tablespoons of Flour (or Potato Starch) to reserved Stock and Whisking until completely incorporated. Add Slurry to cooking pot and Whisk to incorporate. Simmer until desired consistency. 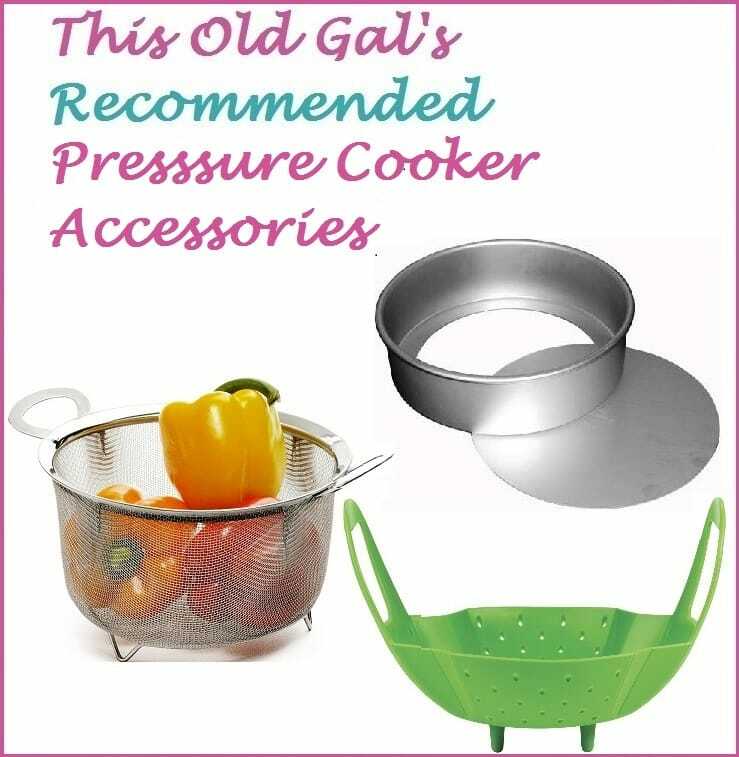 If your Pressure Cooker only has a High Pressure Setting, cook for 20 minutes with a full Natural Pressure Release. Add 5 minutes, if Turkey Breast is not first Browned. PIN this Instant Pot Turkey Breast w/Homemade Gravy! Hi Jill my store only sells bone in turkey halves how would i do cooking time per pound? 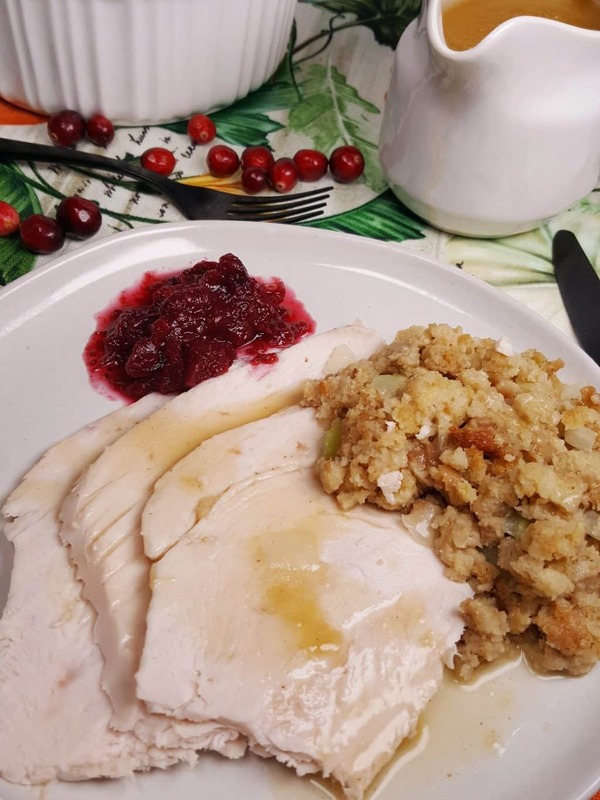 What is the purpose of potato starch on the turkey breast before browning? Can I substitute cornstarch? I got my pot out today and my breast won’t fit! It is 7.42 pounds and sticks up to high. Any suggestions? 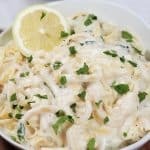 I had.orginally thought to use a crock pot but saw this and it looks delicious. Can you do frozen? If so, 60 min? Thanks! I was gonna make it tonight to do a trial run on a new stuffing recipe and wanted to try your turkey breast recipe for fun. I’ll try yours another time when I have time to thaw. Thanks, can’t wait! I have a boneless, skinless turkey breast in my freezer. Will it get dried out with no skin on it? how About a turkey thigh cooking time using this recipe’s same procedure? I bought a 5.6 pound turkey breast. How long should I cook it for? Maybe 25 min? Hi! I have a 7lb boneless Turkey Roast – Would I pressure cook it on high for about 35 minutes and then NR 10? 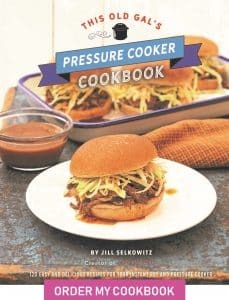 Jill, your recipes all look so good. I wish I had a plate of this delicious meal right now! You can see how nice and moist the turkey breast meat is. I am rethinking my meal plan for the weekend. 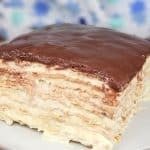 I enjoy reading and using your recipes, thanks for all you do. 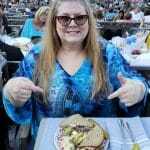 I have learned a lot about cooking in general from reading your recipes and I have been cooking for 50 years! Never too old to learn. Hello. I’m enjoying your blog. I want to use 2 boneless turkey breast as that is what I have in my freezer. How long would you suggest I cook them. After a long day at work, I came home to cook this turkey breast recipe. I had dinner on the table in 90 minutes. 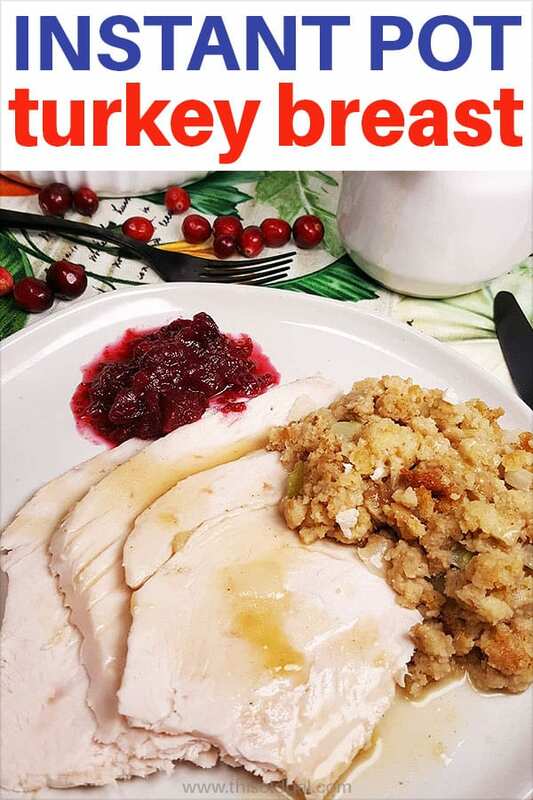 It was the best turkey breast I ever ate – very juicy and flavorful. I have a HALF turkey breast…bone-in and skin on. Looking forward to cooking it, but want to be sure I don’t overcook it ! What would be a suggested time? It weighs just over 2 lbs. Thanks !! Fabulous! I cooked it for an additional 5 minutes as it wasn’t to 165. So moist and the flavor is delicious. Your recipes never fail. What a worthless website. So many ads I could find how to cook a turkey breast. Shows whole turkey. We we spread the word to stay away from “I only care about money” website. The flap of skin that you pull off the turkey and throw into the pot when browning the turkey breast, does that stay in the pot during cooking or is it discarded when you deglaze the pot? How many minutes per pound using this method? My bone in breast is only 4lb. Hi Jill, what would the cook time be for a 9lb turkey breast? Thank you! Are there any cooking time adjustments for a similar sized “Boneless” turkey breast? I can’t even begin to tell u how easy and delicious this is. I made this for a Christmas Eve meal when I was short on time, using my largest IP. It turned out better than any other turkey breast recipe I’ve made. So that my family said it was the best ever!